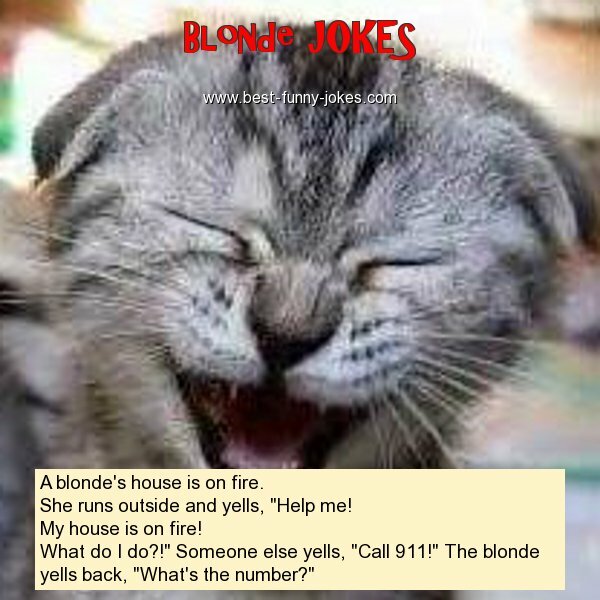 A blonde's house is on fire. She runs outside and yells, "Help me! What do I do?!" Someone else yells, "Call 911!" The blonde yells back, "What's the number?"